Don Best is a Maine artist who received his Bachelor of Fine Arts in painting, with a minor in sculpture from Maine College of Art. Since graduating, Don has continued studying and working with a variety of mediums. This has allowed him to develop his own unique style as a sculptor. His work is focused on reliefs, an art form that has been around for 6,000 years. This approach allows him to integrate painting, drawing, and sculpture. He takes advantage of combining these skills, creating visual narratives that are told through his passion for animals . 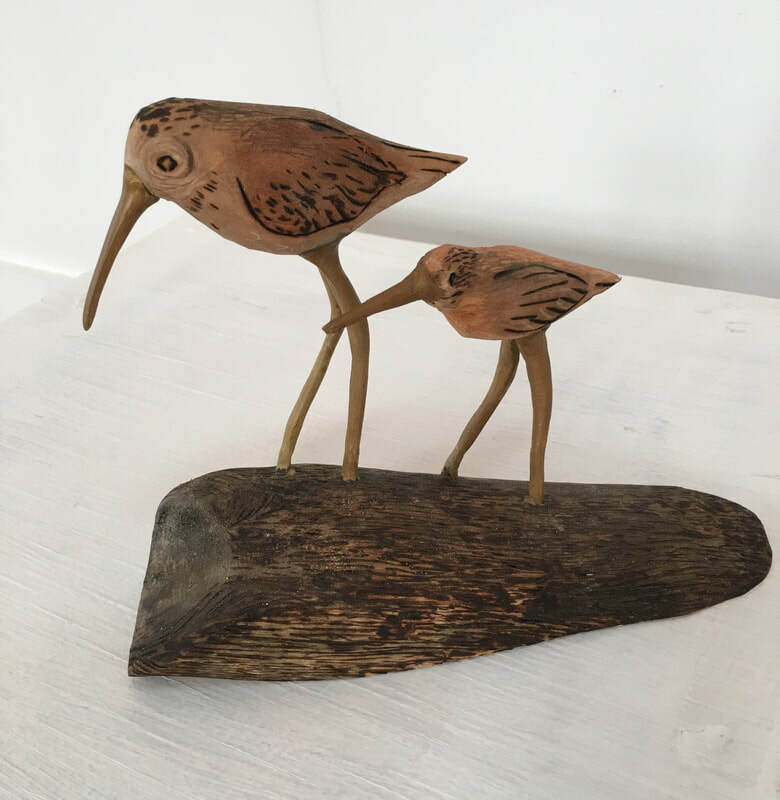 Each piece is unique and brings life to wood. 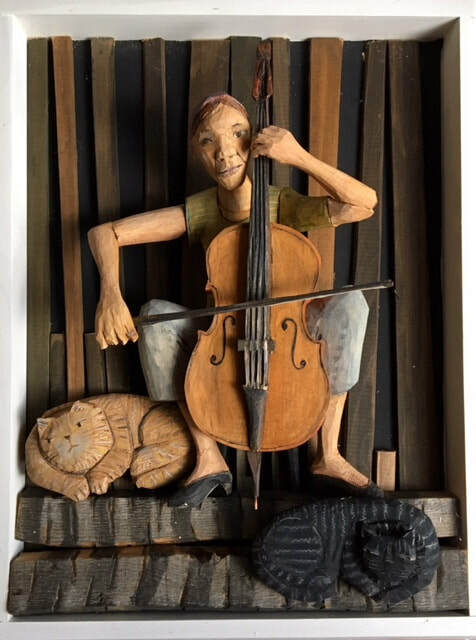 (see below) Don’s passion for animals, especially cats and dogs, depicting their love for their human family, is a continuing theme and inspiration for his sculpture. Allegory: the representation of abstract ideas or principles by characters, figures or events in narrative, dramatic, or pictorial form. One of the powerful aspects of relief is its relationship to narrative. Combining the best of painting, drawing and sculpture, the artist can choose, compose, and balance these elements.